How to be a better spy: Cyber security lessons from the recent russian spy arrests: "On Monday, a number of Russian nationals got arrested for espionage against the US . 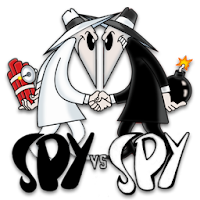 With all the talk and attention paid to cyber spies, spear phishing, APT and new high tech satellites and drones, it is almost refreshing to see that good old fashioned human spies are still used and apparently"
This was interesting and pretty good. Now that the information is public, however, the spies are going to learn to cover their tracks better. Thats the risk of information sharing.